A train ride away. | there's no place like gnome. 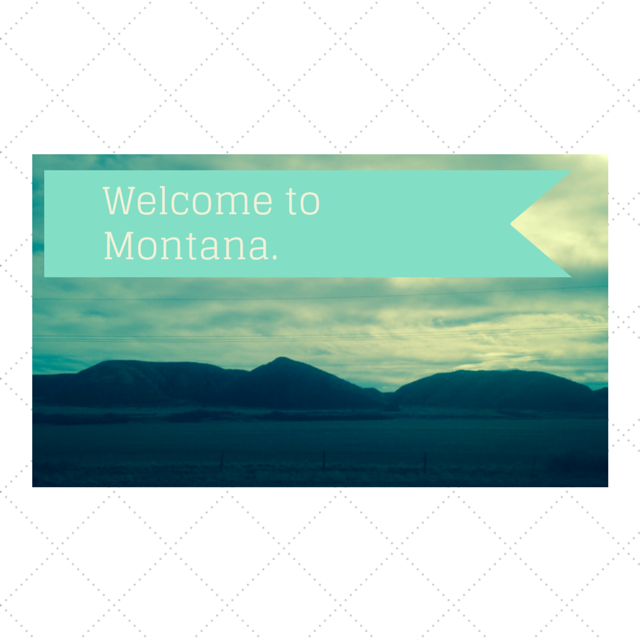 Welcome to Montana, virtually anywho. It all started with a train ride, just as it has the last two winters. Paige and I went to the cities on Wednesday night to jump on the Amtrak Empire Builder with service to Havre, Montana (and beyond). 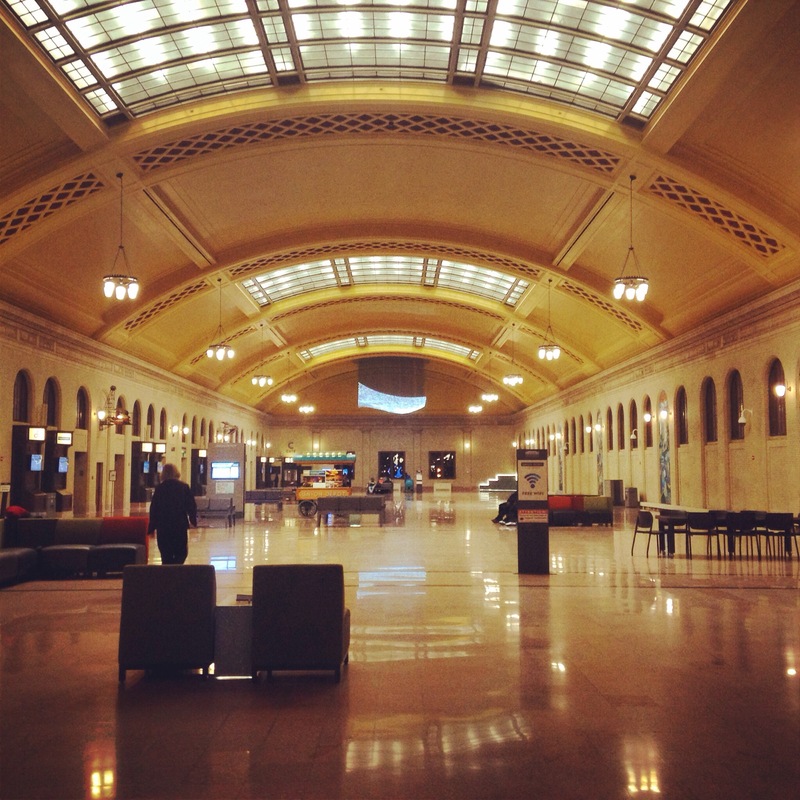 The train was delightfully on time and we boarded for the first time at the new Union Depot in St.Paul. We boarded and were guided straight to our cabin where Gul was our steward. Our steward who, the next day, would knock on our door to deliver us fancy glasses of juice, cookies, and, at one point, salt water taffy. Our beds were already down and soon we settled in for the night. A night of on and off sleep as the train rocked back and forth. We spent the next day in the dining car for breakfast and lunch, and in our cabin entertaining ourselves. At lunch we were entertained by our table mates, a gentleman from Australia and his friend from New Zealand. They were super delightful! We talked about Garrison Keillor (of whom they are huge fans) and laughed at the ignorant woman across the way who tried to engage them in conversation about odd things. Overall, it was full of laughter and a great way to pass the time on the tracks. We were also pleased to hear Rhonda on the train intercom, reminding people how to flush toilets. Rhonda was a memorable part of our very first train trip west a couple years ago; it was fun to hear her and her very detailed, pleading messages again. We were greeted at the Havre station by Joel, Melissa, and family – that included a Hannah and Harper who were so excited to see a train! (Harper could continue to say, ‘All aboard!’ for the rest of the day.) We grabbed some groceries at the store and then headed to good old Big Sandy. Settled in. Ate tacos. Went to bed. Today we started with blueberry pancakes. 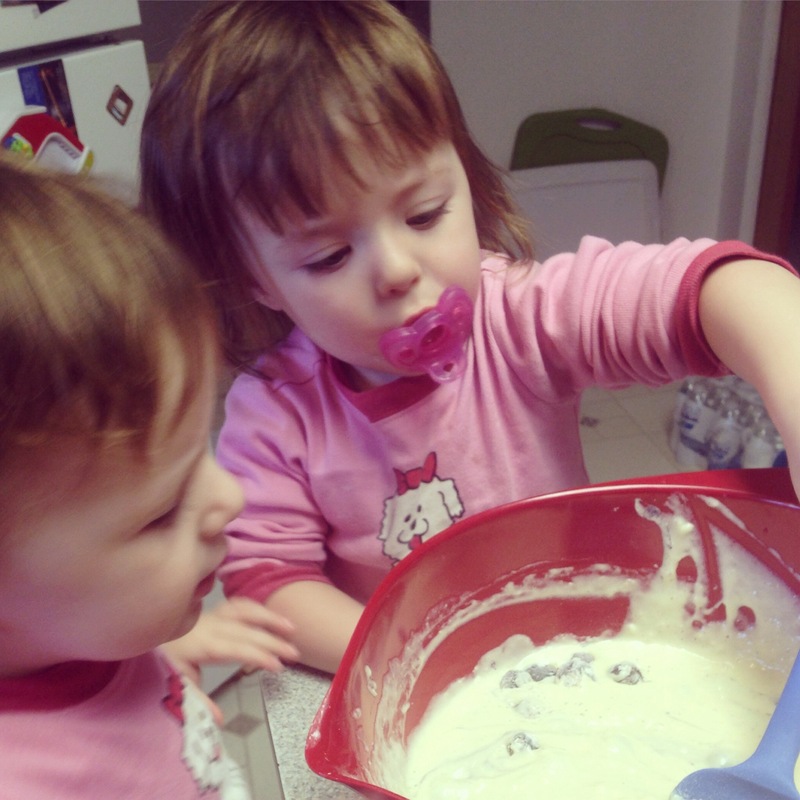 H&H love to cook so they pulled up stools to be my sous chefs – they were pretty great helpers. After pancakes, we headed out on an adventure. 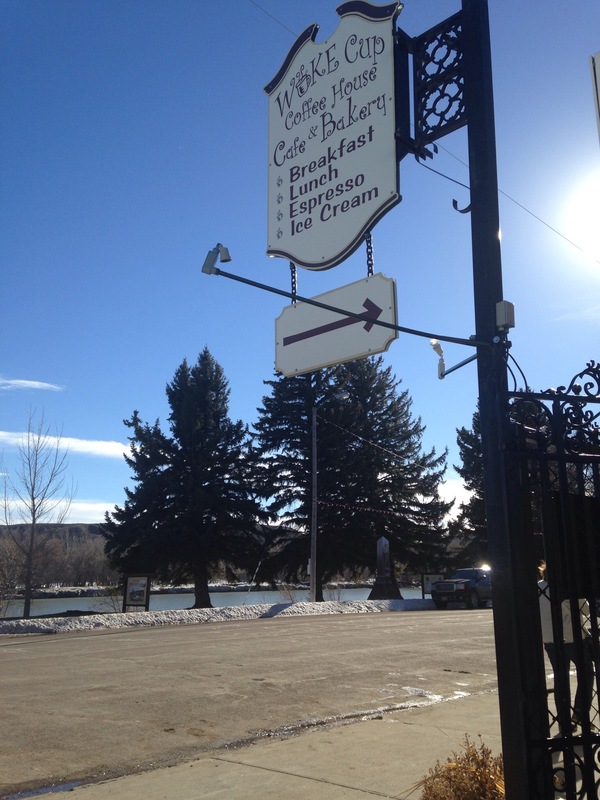 We HAD to eat lunch at the Wake Cup in Fort Benton, as we have the last two years. We continued onto Great Falls for Starbucks, Target, and Joanne Fabrics. (I just finished making new tutus for the girls.) 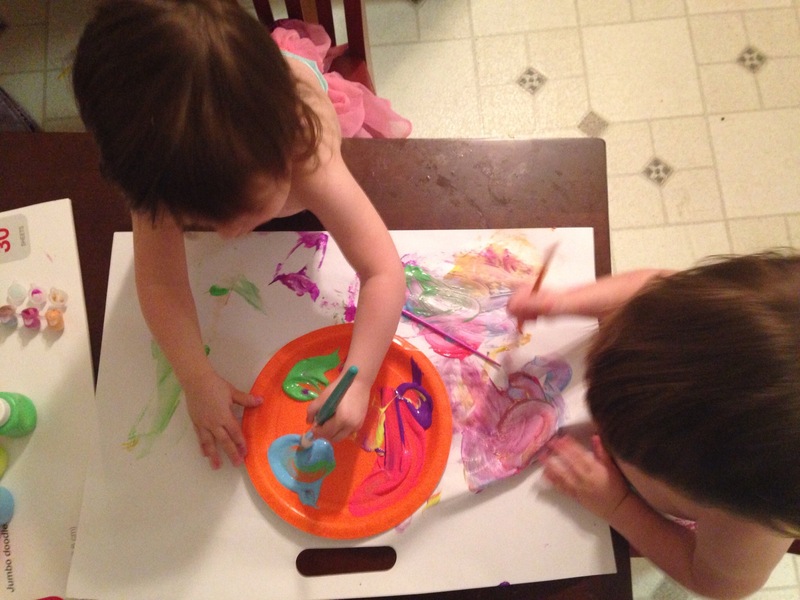 Pork carnitas were for supper and then H&H&I painted until their bath and bedtime. Tomorrow it’s a day of valentine day cutout cookies, more painting, and a walk. Did I mention is was 65 degrees today? Tomorrow it will be more of the same. Paige and I are here until Monday when we will head to Glacier National Park with Joel for a ministry class for two nights. It’s always fun to be here; it feels great to return once more.